An important projection in a reading of Homer’s Odyssey as a source of astronomical and calendrical learning is the development of a scenario in which Odysseus’s adventures are played out not only on earth but also in a parallel world of beautiful metaphorical images of the sun, moon, stars and constellations. Homer’s famed ‘wine-dark seas’ over which Odysseus voyages are also the metaphorical background to the glories of the ‘wine-dark' night skies. Our exclusive analysis of numerical data embedded in the Odyssey gives crucial support to Homer’s creation of a detailed annual luni-solar calendar system and adds precision to his knowledge of sophisticated luni-solar cycles. The story of one-eyed Polyphemus also points towards an exploration of pi, the ratio of the diameter of a circle to its circumference, a topic so ancient that its origins are unknown. Navigation is also on Homer’s agenda and two striking cases illustrate how Odysseus and his fellow sea-going Greeks could easily identify the north celestial pole when sailing at night. The Iliad-Odyssey cycle takes place over a period of 19-years, which is the time-span of a cycle of the sun and moon that enabled ancient astronomers and calendar-makers to keep the 354 days of the lunar year in step with the 365 days of the solar year. Homer knew also of other luni-solar cycles, including the four-year period between Olympic Games. Homer’s exposition on these cycles and the structure of an annual luni-solar calendar are the focus of the astronomical learning preserved in the Odyssey in the perilous adventures of the warrior-king Odysseus as he struggled to return home to Ithaca after the city Troy had been put to the sword. These astronomical and calendrical implications are extensively explored in Homer’s Secret Odyssey (The History Press, 2011). The Iliad is the blood-thirsty story of the siege of Troy during a long and brutal war between Greeks and Trojans. 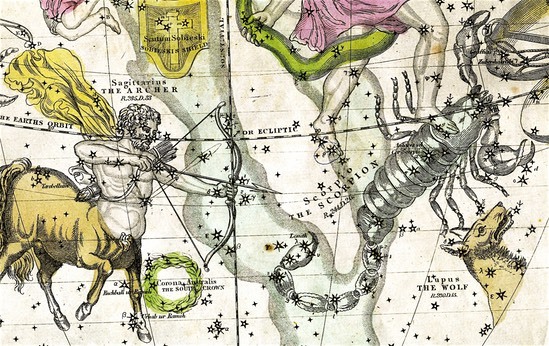 Homer's astronomical knowledge preserved in that epic is centred largely in the creation of an extensive catalogue of stars and constellations and is explored in Homer’s Secret Iliad (1999, John Murray, London). • What have goats on a remote island got to do with the lunar year? * What did Homer know of the stars and constellations? • How are Odysseus's voyages in the ‘wine-dark skies' linked to a calendar? • Where can the magical plant ‘Moly’ be found? • Why is a pig-farm important in Homer’s song of the heavens? * Where are the ‘lands’ visited by Odysseus on his journey home from Troy? • How is Odysseus’s great curved bow linked to a luni-solar calendar? 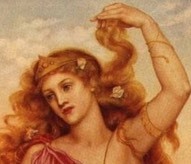 * And … how do cycles of the sun and moon record the advancing age of Helen of Troy? There has been a persistent strand of record throughout the ages that Homer was not only the ancient world’s most accomplished poet and storyteller but that he was also recognised as an astronomer by prominent scholars of later times. Regrettably, no ancient records of how much or how little Homer actually knew about astronomy have survived. Ground-breaking research and readings of the Iliad and the Odyssey as metaphorical sources of the remarkable volume of astronomy and calendar-making known to the pre-literate Greeks, now provide an answer. In addition, our unique analysis of the surprising amount of numerical data embedded in the Odyssey gives mathematical support to the remarkable astronomical achievements of Homer. Strabo (64BC - AD20) declared that both he and his predecessors, including Hipparchus, regarded Homer as the founder of the science of geography ‘which unites terrestrial and celestial phenomena’. Eratosthenes (c. 276 BC - c. 195 BC), a polymath and keeper of the famous library at Alexandria, was said by Strabo to have regarded the astronomer-geographer Anaximander (d.545 BC) as one of Homer’s successors. Crates of Mallus, of the second century BC, was a noted supporter of a theory that Homer’s epics were the source of allegories that expressed scientific and philosophical learning. Pliny the Elder (AD 23-79), author of a work on natural history that influenced western thought until the Middle Ages, regarded Homer as the ‘father and prince of all learning’. In 1907, the scholar Gilbert Murray briefly drew attention to [Homeric] ‘myth of a pronounced and curious kind. .... it is a matter of the solar and lunar calendar.’ Murray is not known to have ever expanded his remarks or to have proposed that the Homeric epics preserved the accumulated knowledge of astronomy and calendar-making known to the pre-literate Greeks.